In the ongoing effort to prevent traffic crashes and save lives, authorities at the Colorado Department of Transportation (CDOT) have recently rolled out a new DUI campaign, aimed at encouraging predominantly Spanish-speaking drivers in the state to not drive after drinking alcohol. Via a partnership with Hispanidad (a Colorado-based ad agency), CDOT will reportedly be developing and running a series of public service announcements in Spanish to remind Hispanic motorists that buzzed and drunk driving is against the law – and that it can put their lives, as well as the lives of others on the road at risk. With more than 1.1 million Hispanic individuals living in Colorado – and with this demographic expected to expand substantially in the next few years, CDOT’s new campaign may be coming out just in time to take a strong hold of this community, providing it with the information and resources necessary to avoid driving when impaired – and, perhaps more importantly, to avoid DUI arrests, charges and other serious repercussions. Find a sober driver before you go out to consume alcohol. 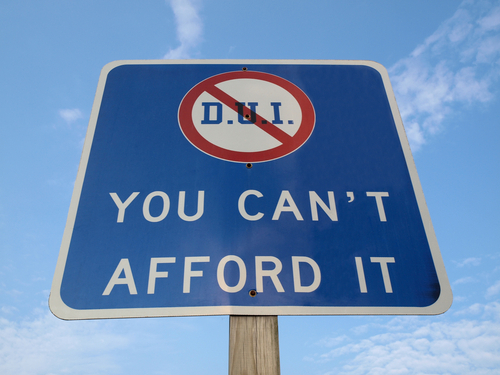 Sober drivers are NOT the people who are the least drunk at the end of the night. They are those who have not consumed ANY alcohol. Find another ride if you can’t find a sober driver. Taxis, public transportation and even ride sharing services are all available in major Colorado cities. Don’t be afraid to stop a drunk friend from driving. In fact, because alcohol can impair perception and judgment, it’s not uncommon for drunk people to think they are OK to drive when, in fact, they may have BACs at or well above the legal limits (of 0.08 for those with standard driver’s licenses and 0.04 for those with commercial driver’s licenses). Safety is a top priority for CDOT and this PSA continues our efforts to reach Colorado residents with culturally- and linguistically-relevant safety messaging… The loss and suffering that comes with drinking and driving is entirely preventable and it is critical that we work together to make everyone aware of the dangers involved when they drink and drive — hefty fines, jail time, serious injuries or worse, the loss of a life. What do you think about this new effort to prevent DUIs – including DUI arrests and wrecks – in Colorado? Do you think it will be effective at helping some drivers make different choices when they are out drinking? Have you seen or heard any of the new PSAs for this campaign? Tell us your opinions, thoughts and experiences on Facebook & Google+. And, please, never hesitate to contact us if you or a loved one has been arrested for or accused of drunk or impaired driving in Denver – or anywhere in Colorado. Call our firm at (303) 280-1070 or email us using the contact form on this page to receive a thorough case evaluation, along with professional advice regarding your best DUI defense options.